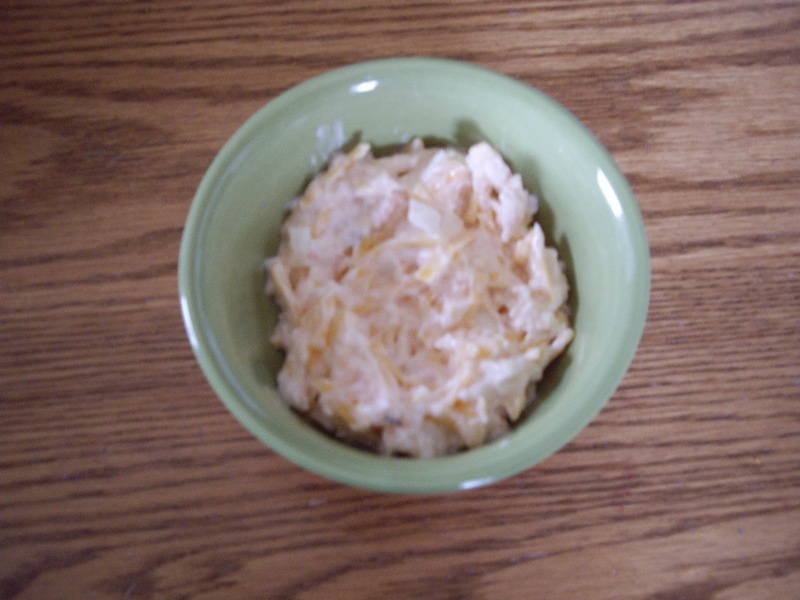 This is a very simple dip that has great flavor. My friend Jacque shared this with me. Serve with snack crackers. Drain canned shrimp and mash with a fork. If using frozen, thaw and chop finely in a food processor. Add the rest of the ingredients and chill until serving. If you don’t have green onions, use about 1/4 cup chopped onion.